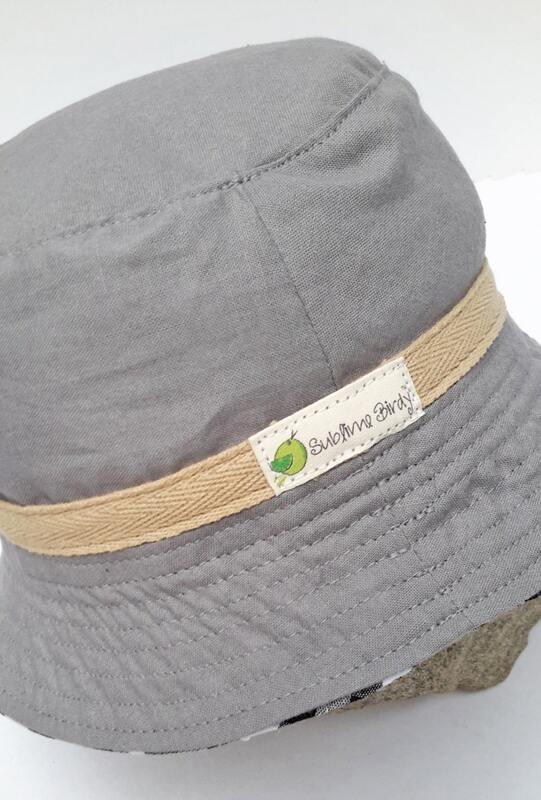 Functional and playful at the same time, the brim keeps sun out of your little ones eyes while the patch pocket hides a surprise fish inside. 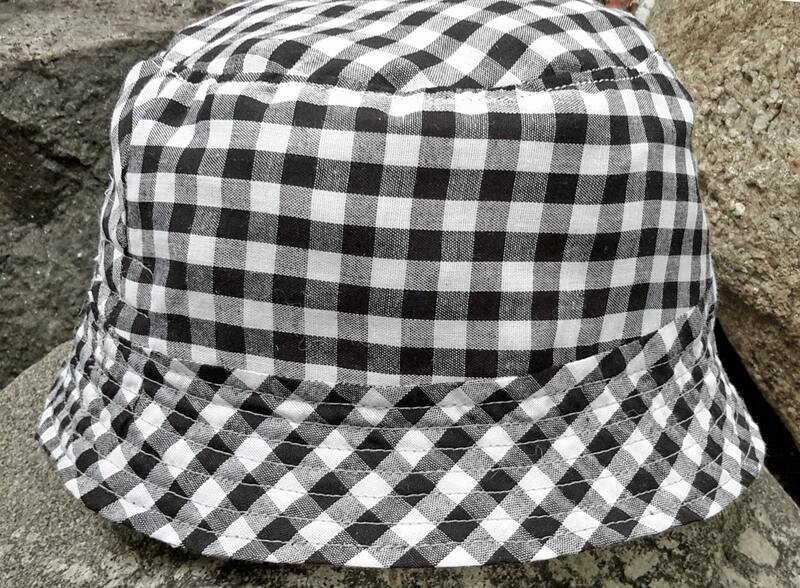 Outside material is 100% gray cotton and is lined with black and white gingham cotton. No labels inside to bother baby's head. 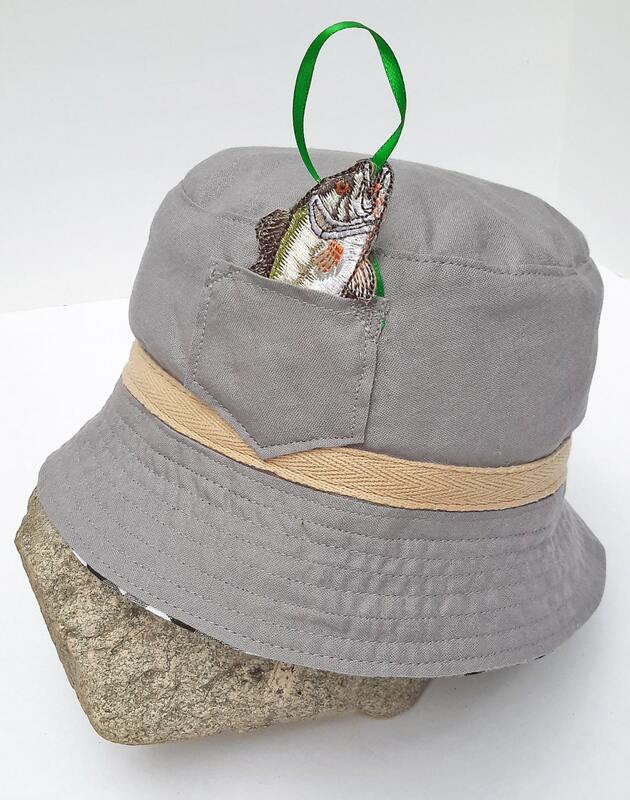 Applique fish tucks into patch pocket and is attached by a green satin ribbon and sewn into pocket, take it out to play or hide it away. 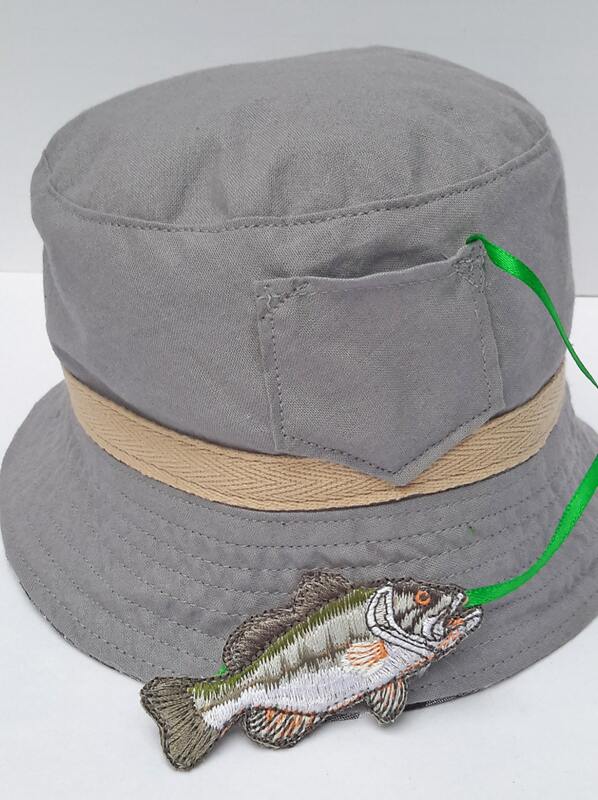 Materials have been pre-washed and fish applique is backed with felt. Care: Machine wash cold on delicate cycle in wash bag, No chlorine bleach, Tumble dry low and Remove promptly. Remember to measure baby's head before ordering to avoid disappointing fit. 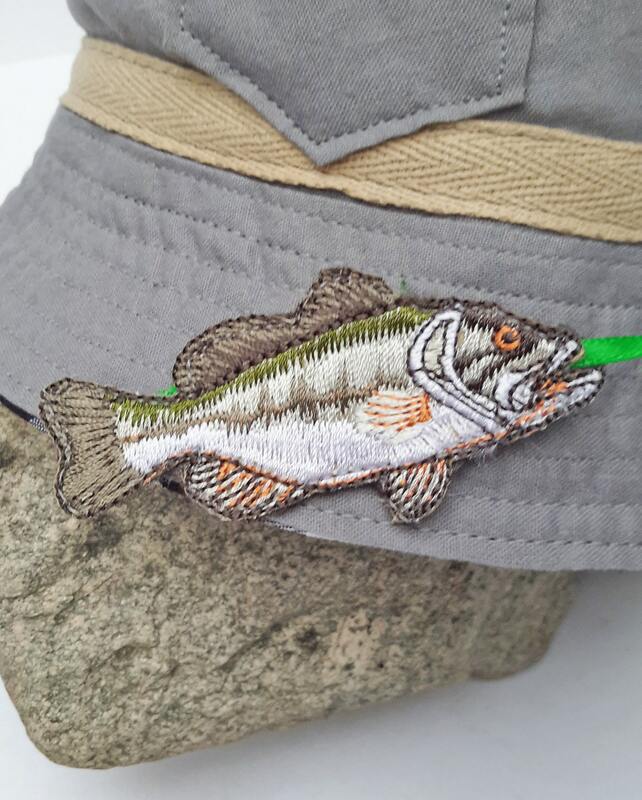 This is a MADE TO ORDER Item, fish appliqué may vary. THANK YOU , I can not wait to give it to my son for his new baby boy .